Take a moment to scroll through any social media stream and you’ll find no shortage of indulgent #selfcare posts featuring towering bubble baths and cucumber-covered eyelids. The inference, of course, is that if you don’t take care of yourself, you won’t be able to take care of others. It’s hard to argue with this logic. Yet, for caregivers who spend their days and nights tending to the complex health needs of a loved one, true self care is about being wrapped with support and resources — not just a fluffy robe. 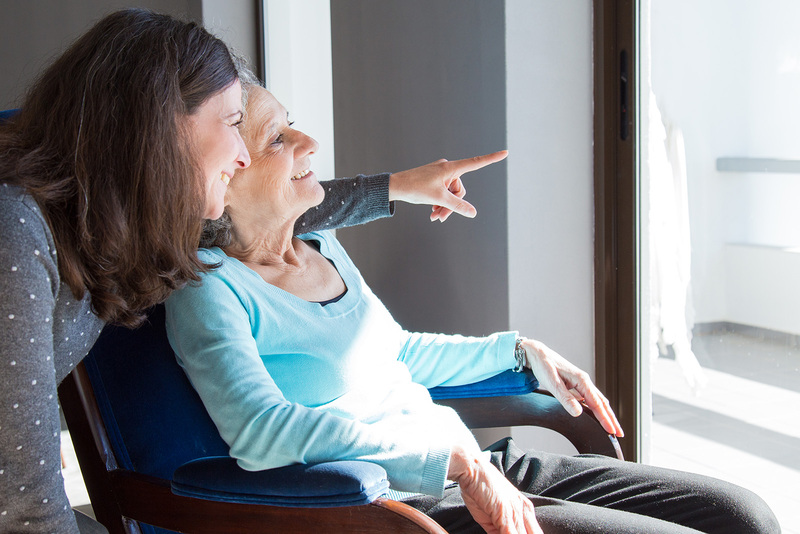 In this time of hospital bed shortages and drawn-out wait lists for long-term care facilities, it has never been more important to ensure caregivers have the support they need to care for their loved one at home — where they want to be. 1. Find a service provider in your area. To find local health and community services across Ontario, begin by visiting thehealthline.ca to access links to resources near you. After determining your needs (e.g. personal support at home, counselling, transportation), take time to learn about the providers in your area by exploring their websites and calling them for answers to specific questions about receiving their services. Many community support agencies, like Circle of Care, offer information and referral services that can also help direct you to the resources you need. 2. Ask an expert. It’s common for caregivers to feel isolated in their experiences, but remember that others have travelled the same road before you, and likely have excellent advice to share. Don’t be afraid to reach out to friends or co-workers who have been through a similar experience and ask about what has worked for them and what hasn’t. Experienced social workers at many organizations are available to provide counselling and to help families navigate the system. You might also consider joining a caregiver support group, like those offered by Circle of Care, to learn strategies for coping, and to connect with others who are going through similar challenges. 3. Seek out meaningful respite. If you’re fortunate enough to have friends or family offer “help,” kindly thank them and suggest that they take turns spending time alone with your loved one so that you can leave the house for regular breaks on your own. If that’s not an option, consider a specialized day program for the person you care for — peace of mind for you, and a stimulating environment for them. For a longer break away from home, many retirement homes and long-term care facilities accommodate short-term stays for caregiver respite. Finally, don’t underestimate the value of relieving yourself of everyday chores that can feel overwhelming: a community transportation service such as iRidePlus can take people to-and-from medical appointments, and daily Meals on Wheels deliveries ensure nutritious meals on the table each night. This article was featured in Toronto.com on March 30, 2019, and written by Christina Campbell, Director of Marketing & Communications at Circle of Care. © 2015 Circle of Care. All Rights Reserved.